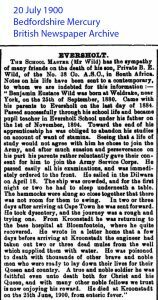 Benjamin Eustace Wild was the son of the headmaster of Eversholt School. 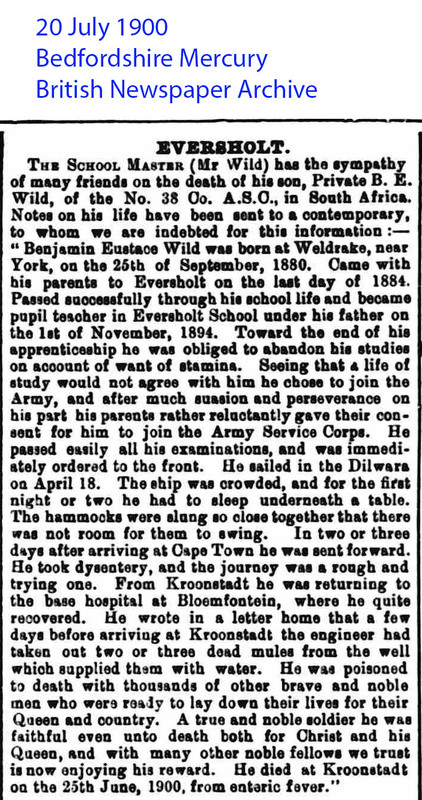 Here is his obituary. The two versions are almost the same. Click for big versions.